10+ years of experience in PHP web development. Best-in-class PHP development services to startups, small and big enterprises. Customized development supporting multiple operating systems. Developed 500+ PHP web applications since 2008. Working on widely-used open source scripting for creating user-friendly and easy to navigate website for your business. PHP web development can be easily embedded with HTML to design web portals that enhance your business reach. Over the decade, we have deployed many successful complex solutions to our clients with 100% client-satisfaction. Hire PHP developers India team for leveraging the benefits of in-depth knowledge, strong development strategies, quick and agile web solutions. If you’re a passionate startup or entrepreneur or SMEs looking for developing your own business website that showcases the best of your brand. Then, hire PHP web developer India team as we share the same passion as yours’ to build a classy website. Discuss your business idea with our PHP developers and start building your perfect App. The NineHertz is a leading PHP web development company offering its prominent solutions to various industry verticals. Our creative PHP web developers have an average experience of 7+ years and have widespread knowledge of various trending technologies. Our team of PHP consultant gathers the insight of the market based on your business idea. 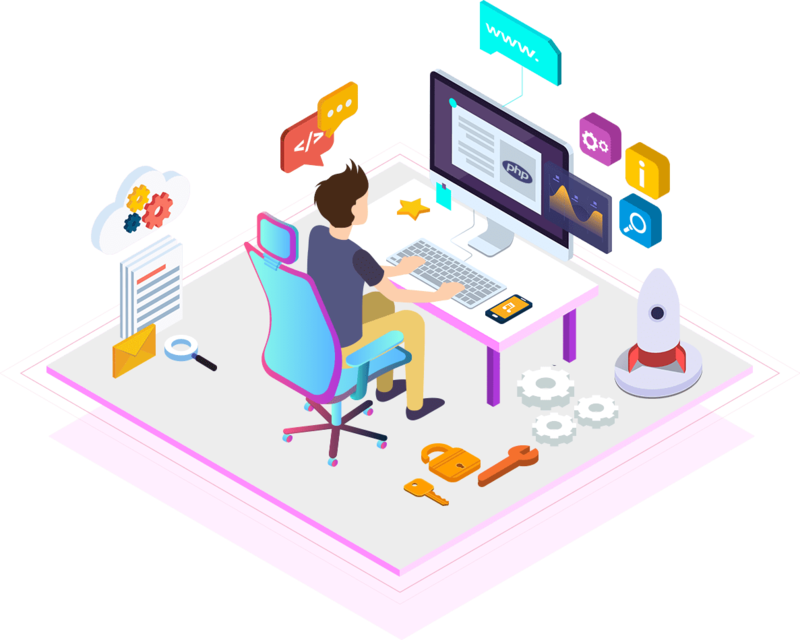 Thus, depending on your project requirements, our programmers and designers will provide a best-fitted solution with high-quality, efficient, and cost-effective development services. To best utilize the resources in a cost-effective way, hire our PHP web development services. Take the leverage of working with PHP developers at your development center at the handsome cost. We are flexible enough to work at your work station. Hire PHP web developers in our workstation. We’ll keep the hired developers in the circuit of communication at the time of reporting. Mix and match of the onsite and offsite model, in order to achieve the desired goals. Hire PHP developer and a team of executives who are ready to work from both the ends.